Gizmodo. It’s all about the latest and greatest in gadgets and gizmos. Read by gamers and gadget guys alike. Coverage can validate a new consumer electronics product, set the stage for a CES appearance, build demand, and open a new product to coverage in mainstream media. The Verge. Founded in 2011, it covers the overlap of science, technology, art and culture and it offers an insightful mix of breaking news and product reviews. It’s a crucible for any number of viral stories, closely followed by the traditional media as a place to find trending, contemporary topics. Engadget. Still the old grand dame of cool consumer tech coverage, Engadget continues to be a must target media point for companies developing and introducing the next generation of gee whiz staff. It’s another source reference for mainstream media, a place stories come to life and then spread over the larger media ethos. Digital Trends. A high-tech lifestyle publication, Digital Trends has been around since 2006 reporting on everything from PCs, televisions, smartphone, game systems and everything in between. It’s also an on-ramp to other web properties. Appear on Digital Trends and your product could wind up on one the most read news site on the Web–Yahoo News–which gets about 50 million views a month, huge exposure to be sure. TechCrunch. It covers it all, everything needed to know from the world of technology, from both the consumer side and enterprise world of tech innovation and development. It’s breadth is admirable as is the respect it commands within the media domain as an insightful, accurate source of tech-related information. GigaOM. Ranking high on the geek-o-meter of inside news and insights into the web, mobile and software, GigaOM always ranks high on the list of most desirable places to be seen by leading tech companies. What begins as a GigaOM story is often seen days or a week later in the mainstream. Internet of Things anyone? This site has been covering this story for years. Business Insider. A vital source of news for those in the tech industry and those in the business of tech all over the world. It’s hard to penetrate for outsiders without the resources. The site is looking for: data, opinion, high-profile news. Still, today and tomorrow’s big leaguers appear on its site and its invaluable for any company, based in, raising capital from, or otherwise doing deals in both Silicon Valley and Alley, and the tech hubs in between. Its stories are often cited by the big major, more traditional business and tech media such as the New York Times. Ars Technica. Around since 1998, a publication its founder created to appeal to “alpha geeks,” it’s an important publication for those who want both a deep and wide explanation of today’s technology. Ars Technica is read by many technology experts and influencers, from CIOs, to systems administrators, to programmers, longing to stay current on issues of IT security, privacy, and piracy, as well as gear and gadgets. A powerful publication, much respected on the enterprise side of tech, Ars Technica writes daily about topics not yet on the mainstream media’s radar. 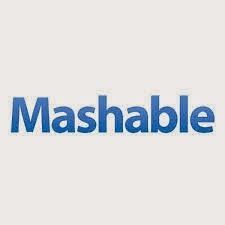 Mashable. It’s the lighter version of Ars Technica, with a massive audience offering a mix of social networking and business news, gadgets and job trends, and commentary that’s read by the wider tech audiences, including tech reporters who work for the trades (traditional media tech reporters). Highly entertaining while still important to advancing the tech agenda, Mashable probably ranks higher than its ninth position, but always within the top 10. The Next Web. It’s “only” 10th but this site is getting over a million visitors a month, and with huge followings on the social sites, it continues to grow in influence and reach. TNW continues to be one of the most important voices in technology, and a hell of a great read! TNW covers what’s important in tech both nationally and internationally and should never be overlooked. So read ’em, know ’em, love ’em. The top under-the-radar publications are vital resources to advance the narrative of any technology public relations campaign and serve as the embers that fan bigger stories in large, traditional media.